Parkinson Canada also reveals that nearly 100,000 Canadians have Parkinson’s. And although 85 percent of those diagnosed are over the age of 65, one of the most popular diagnoses is that of Edmonton-born actor, Michael J. Fox. The 57 year-old TV and movie star was diagnosed with Parkinson’s at the age of 29. Variety is honouring Fox this month as philanthropist of the year for his work on Parkinson’s disease research. In a recent interview with Variety’s Malina Saval, Fox commented on how tricky Parkinson’s is to treat. “Everyone’s got their own disease, everyone’s got their own Parkinson’s,” Fox is quoted as saying, “It’s to the point where we suspect it’s a number of different diseases.” Fox’s experiences with the disease highlight the many hardships endured not just by sufferers, but by their caregivers as well. Caregivers of Parkinson’s sufferers are commonly exhausted due to both the physical and emotional strain their jobs create. It’s important to know that the effects of Parkinson’s include more than just the loss of muscle control and subsequent shaking. Communication is impacted as well. For caregivers, understanding the ways in which Parkinson’s affects one’s ability to communicate is vital to their ability to provide proper care. How does Parkinson’s impact communication? As Fox mentioned, Parkinson’s impacts every sufferer differently. However, many experience a loss of speech or a significant change of speech patterns. Often, those with Parkinson’s disease speak at quicker paces, use softer tones and sometimes stutter. They also find it difficult to recognize hand gestures, facial expressions and other forms of body language. This, of course, presents many difficulties for caregivers trying to communicate with their care recipients. Professional caregivers are well-trained for the symptoms of Parkinson’s disease. They practice extreme amounts of patience, which is incredibly necessary when speaking with a person who may not be able to understand all that is being said. They also know to maintain strong eye contact and focus solely on one conversation at a time. Changing subjects too quickly can make things very complicated for a Parkinson’s sufferer. 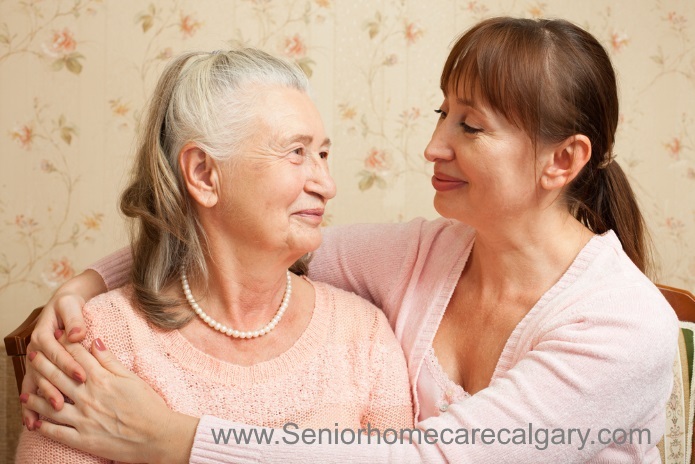 Why should you go with a professional home care provider? Understandably, people who care for loved ones with Parkinson’s can find it very frustrating to have conversations. And, as all caregivers are aware, when you are overwhelmed with stress and frustration, your ability to care for someone greatly falters. Rather than enduring this hardship, Senior Homecare by Angels highly recommends that you enlist the services of a professional home care provider who can make home visits. Investing in respite care can help to prevent caregiver burnout. But we also strongly advocate for speech therapy to assist with basic speech and throat function as well as occupational therapy to help the care recipient to retain some basic motor skills. The Senior Homecare by Angels team would be happy to offer you a complimentary in-home consultation to help you select the ideal caregiver for your loved one suffering with Parkinson’s. Please don’t hesitate to call us at 403-862-0129 or outside of Calgary toll-free at 1-877-209-6142. You may also visit our Contact Us page to complete and submit a simple contact form, and we’ll contact you.